Russian companies will exhibit their major products during the 28th Viet Nam International Trade Fair (Viet Nam Expo 2018), slated to be held at the International Exhibition Centre in Ha Noi from April 11 to April 14. On display will be mechanical processing, precision mechanics and automation equipment, as well as industrial biotechnology and high-tech electronic goods, on a total area of 520sq.m. The bilateral economic cooperation between Viet Nam and Russia was in the spotlight in 2017, and the two sides have agreed to accelerate the implementation of the free trade agreement between Viet Nam and Europe-Asian Economic Union through bilateral trade, which is expected to reach US$20 billion by 2020. 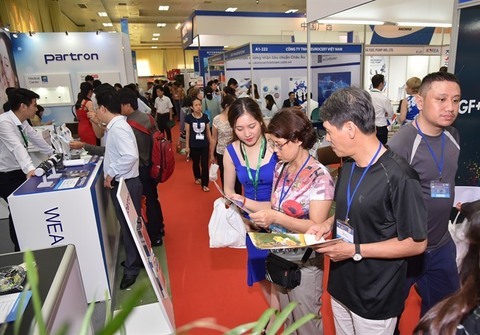 The upcoming expo is seen as a significant event to further trade promotion in an efficient way by the two sides, the event’s organiser, the Viet Nam National Trade Fair and Advertising Company (Vinexad), said in its statement. Besides exhibitors from Russia, the upcoming event will also attract those from other countries and territories, including South Korea, mainland China, Nepal, Thailand, Japan, Singapore, Cuba, Laos, Cambodia, Taiwan and Hong Kong.